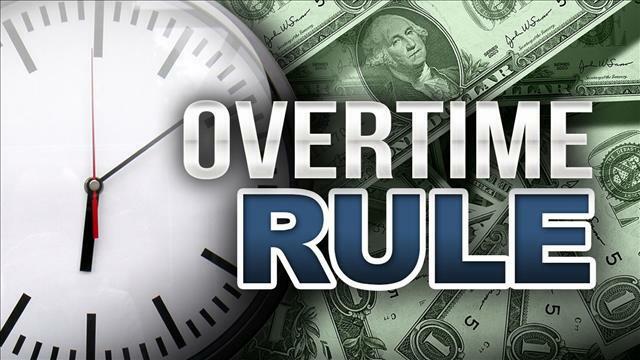 The Department of Labor is seeking employer input regarding minimum wage and overtime. Please read below for more information. It is always my goal to keep you informed, and ensure you avoid costly HR Mistakes. As always, call me at (810) 813-8732 for any questions or assistance with HR issues. Have a fantastic week! The U.S. Department of Labor (DOL) has published a request for information (RFI) seeking input on its 2016 final rule which adjusted the salary thresholds for executive, administrative, and professional employees to be exempt from federal minimum wage and overtime pay requirements. What Was in the 2016 Final Rule? Establishing a mechanism for automatically updating the salary and compensation thresholds every 3 years, beginning in 2020. Enforcement of the 2016 final rule was halted by a federal judge in December 2016, and remains the subject of litigation. On What Issues is the DOL Requesting Input? Bring your ADA accommodation requests and ADA questions to this valuable webinar! American's with Disabilities Act (ADA) lawsuits are on the rise. In one case in Illinois against Auto Zone, the jury found that the company refused to accommodate a sales manager's disability by insisting that he mop floors, which lead to further injury. (EEOC v. AutoZone, Inc. Case No. 07-cv-1154 (C.D.Ill.)). That case resulted in a $424,000 judgment against AutoZone. In another case, Wal-Mart agreed to pay $50,000 in back pay and damages in settlement of a disability discrimination lawsuit filed by the U.S. Equal Employment Opportunity Commission (EEOC). The EEOC had charged that a Walmart store unlawfully fired a part-time sales clerk because of her cerebral palsy. 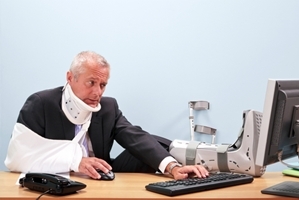 Employers deal with multiple obligations under federal, and state laws when employees take time off due to disabilities, illnesses, and injuries. With a rise in EEOC claims and litigation, it is crucial that employers determine reasonable and unreasonable accommodations appropriately to avoid massive lawsuits and ADA violations. Many illnesses and injuries, which are covered under other laws, such as the FMLA, may also constitute a “disability” and bring with it to an obligation under the ADA. Additionally, It is vital that employers identify and terminate ADA abusers; however, employers must proceed with caution when dealing with ADA abuse; as the cost of violating the law can be massive. Includes real life scenarios, trivia questions, and examples. 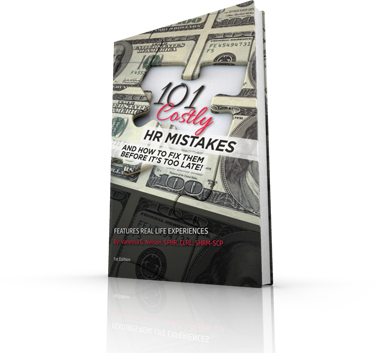 Click Here to Order Your Copy of 101 Costly HR Mistakes Today!